Ildar Abdrazakov launches his 2016-17 season with two performances with the Metropolitan Opera in masterworks by Rossini and Mozart. The Bashkirian bass begins with a revisit of the role of Mustafà in the former’s L’italiana in Algeri, conducted by James Levine. In the pasha role, Ildar stars opposite Elizabeth DeShong in the title role, Ying Fang as Elvira, René Barbera as Lindoro, and Nicola Alaimo as Taddeo. While in New York, Ildar also returns to Michael Grandage’s production of Mozart’s Don Giovanni, headlining the revival as the eponymous Don. 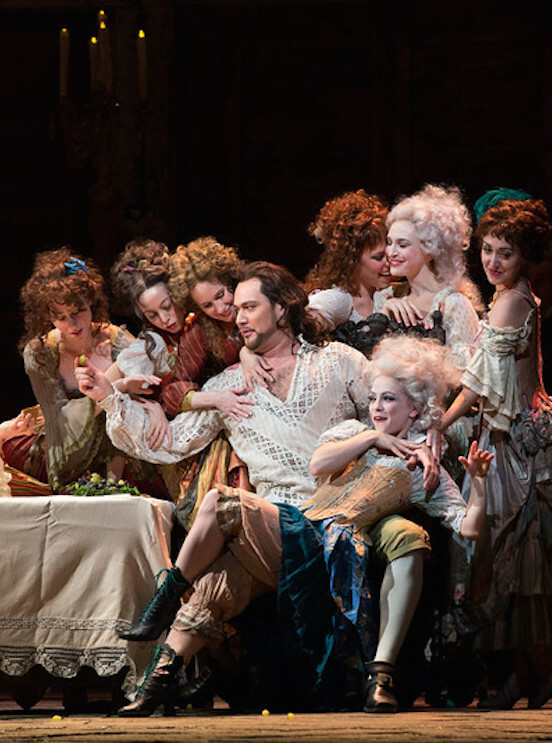 In three performances, he stars opposite Matthew Rose as Leporello, Ramón Vargas as Don Ottavio, Malin Byström as Donna Anna, Amanda Majeski as Donna Elvira, and Nadine Sierra as Zerlina. L’italiana in Algeri performances take place October 4, 7, 12, 15, 20, 22, 26, and 29. Ildar stars in Don Giovanni November 1, 4, and 10.